Cons : None I can think of. Other Thoughts : Delphi has video's on how to use molds how to prepare them what kind of mold release to use, etc. Also try You Tube video's I get many ideas from them all, and it's free. Pros : Extremely useful mold to make jewelry quick. Makes it easy to turn out several items in a short time. Really liked the different shapes in one mold. Cons : Non that I can think of. Other Thoughts : I bought two so I could fuse more at the same time. Pros : Love the different shapes. I can make pendants and earrings all at the same time! Pros : I loved the jewelry that can be made with this mold. Cons : I wish there were instructions regarding how many coats of kiln wash to use. Because of this problem I wasted two good molds because now I cannot get the glass out of the molds! How many coats do you need? 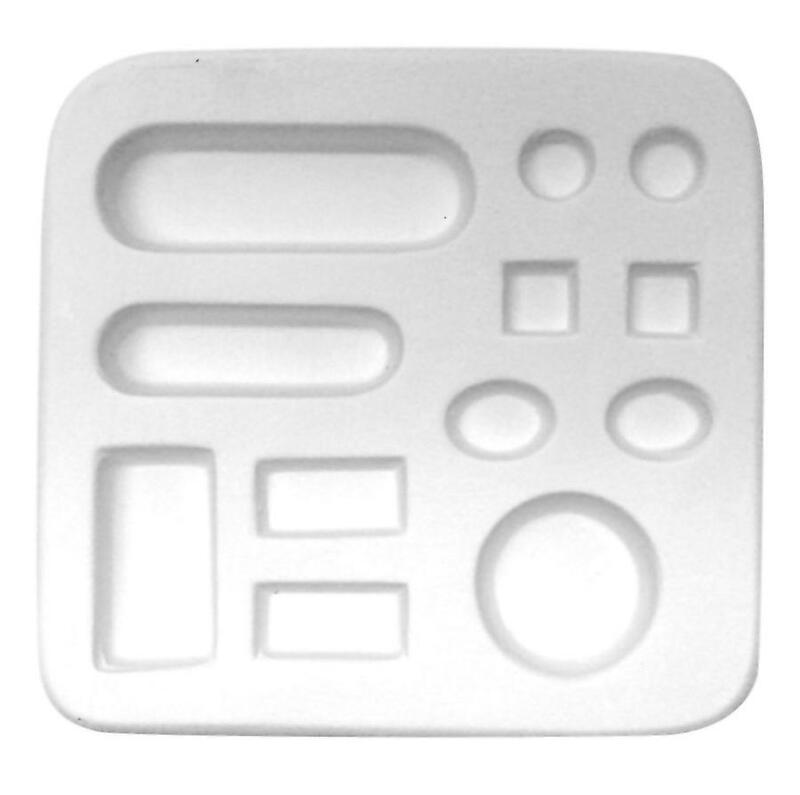 Other Thoughts : Give some clear and detailed instructions on how to use these molds. Pros : great variety of sizes, perfect for jewelry. Pros : I like this casting mold because of the various shapes. My favorite shape is the larger circle. Cons : My problem wasn't with the mold itself. I am just starting to learn fusing. I wish it would have come with instructions just so I knew that I was doing it right. I had to figure out on my own how much frit to put in and how long to put it in the kiln for. Also, the kiln wash is a little hard to get out of the corners and edges but I found that a small brush works good.